Gold has climbed for two straight weeks, and it’s now up nearly 5% since December 15th. 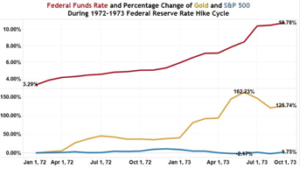 At Wealth Research Group, we showed you how the 2nd rate hike has historically been extremely bullish for gold. This is not a standalone case. 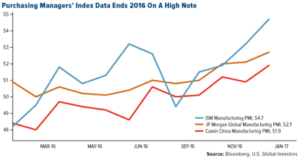 The FED has gone on three tightening periods, and the stock market suffered every single time while gold rose dramatically and aggressively. Right now, gold is trading for about $1,180, and it would have to climb about 75% to reach its previous inflation-adjusted high. 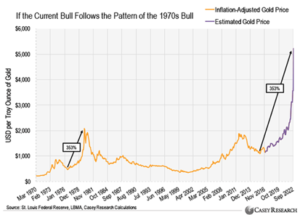 Adjusted for inflation, gold rose about 353% from its mid-1970s trough to its 1980 peak. If that pattern repeats itself, gold would have to rise from its December 2015 low to just above USD$5,200 per ounce by October 2022. The NYSE Arca Gold BUGS Index (HUI) tracks large gold stocks with the price of gold. 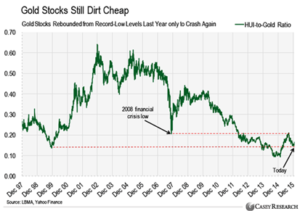 The lower the ratio, the cheaper gold stocks are relative to gold. 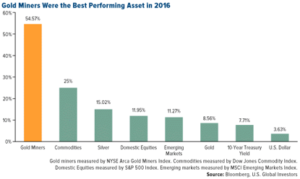 So even though gold stocks were 2016’s top-performing asset class, the magnitude of this timing couldn’t be more profound, and it will catch many off guard. January 28th is the Chinese New Year, when demand for the yellow metal has historically risen dramatically. This will be the year of the fire rooster, one of whose lucky colors is gold. 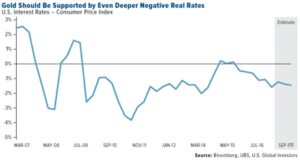 Throughout 2017, the precious metals should be supported by even deeper negative real rates, which could fall to their lowest level in two years as inflation outpaces nominal interest rate increases. 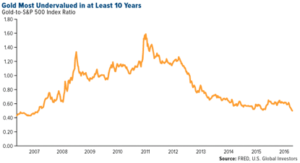 Many don’t realize just how cheap gold is, and as I’ve said many times, the best way to measure gold’s price is by comparing it to how many shares of the S&P 500 it can buy. Right now, it’s at a decade low. 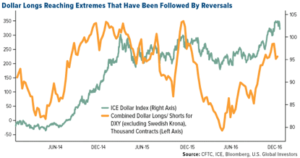 What is ultimately the best technical indicator that we could be heading higher is the end of an over-exaggerated U.S. dollar rally. I personally hold at least 5% of my wealth in physical precious metals, and at times, it has even been as high as 10%-15%. 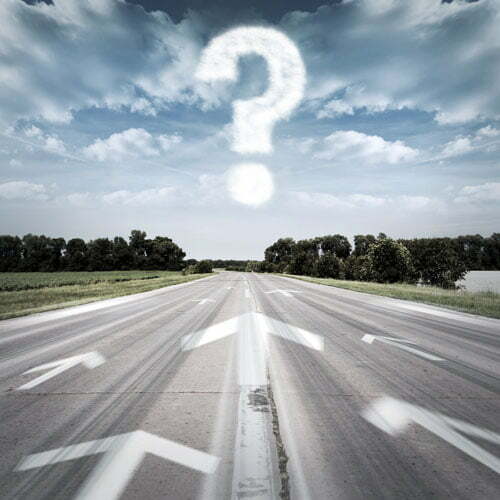 The reason is simple: I do not trust, even for a second, the people running the global currency game. There’s zero chance that average people are considered when elite bankers make policy decisions, otherwise we wouldn’t be drowning in debts that can never be paid back. With this dollar strength coming to an end, this could be a very strong 1st quarter for gold. The true wild card is silver. Because big banks have admitted to fraud and price rigging, prices could finally be headed towards fair value, and I’d love to see the metal and the market discover the true worth of an ounce. With the new growth curve from Asia, led by the Chinese, the appetite for silver on an industrial level will put real pressure on supply. We’ve already seen deficits forming, and this is what resource investors are craving for: a bull market based on supply and demand. If you’ve got cash savings and plan to hold on to a substantial cash position, allocate a portion of that into precious metals – it will be there long after us.